As World Environment Day approaches (5th June), Mumbai is all set to lose vast stretches of mangrove forests to the upcoming metro. Despite being the lifeline of Mumbai's coasts, mangroves have always either been ignored, flattened for 'development' or used as dumpyards. 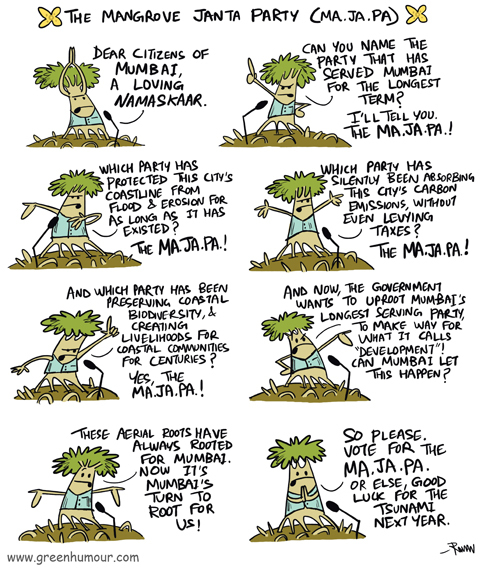 Mumbai, you owe your existence to mangroves more that any political party! Can you let this happen? From my column with Sunday Mid-Day today.